Why Does Every Meme Use That Same Font? If you’ve spent much time on the internet, you’ve seen a meme like the one above: a picture, white words, a black outline, and the same exact font. 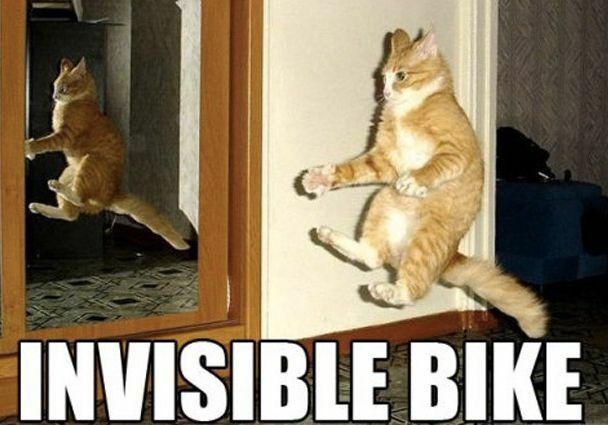 We can’t know if this cat is riding an invisible bike or not. 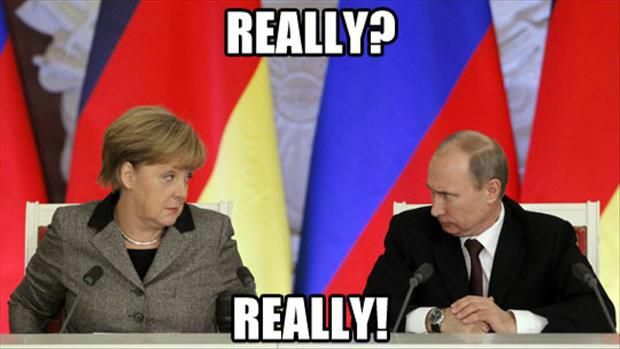 Merkel and Putin, memed just like the rest of us. Why do so many memes have the same appearance? The answer tells us something about design, business, and how technology can help something stupid find traction. 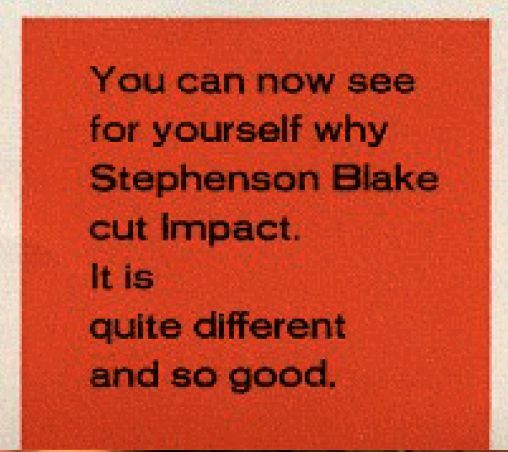 This is from the original Stephenson Blake ad for Impact. That meme typeface is called Impact (technically, a “font” is a specific version and size of a typeface, like when it’s italicized or in bold). Though Impact feels like the quintessential internet typeface, it was released in 1965. In 2004, Geoff Lee told the now-defunct Typophile forum how he designed the typeface back in the day, using hand-cut metal to create each letter. A couple of years after creating Impact, Lee sold the typeface to the type foundry Stephenson Blake. Impact was always supposed to stand out. So from the beginning, Impact’s thick letters were designed to stand out (similar to its close cousin Haettenschweiler, which is a little narrower). But it took more than great design for Impact to become the default meme font. The 1965 demonstration of Impact. When Geoff Lee created Impact in the ’60s, he couldn’t have anticipated that his typeface would become a digital titan. But there’s a reason Impact rose above other typefaces with wide, easy-to-read letters: It had distribution. As the digital age began, Impact got key placement thanks, in part, to the dissolution of the firm that commissioned the typeface. 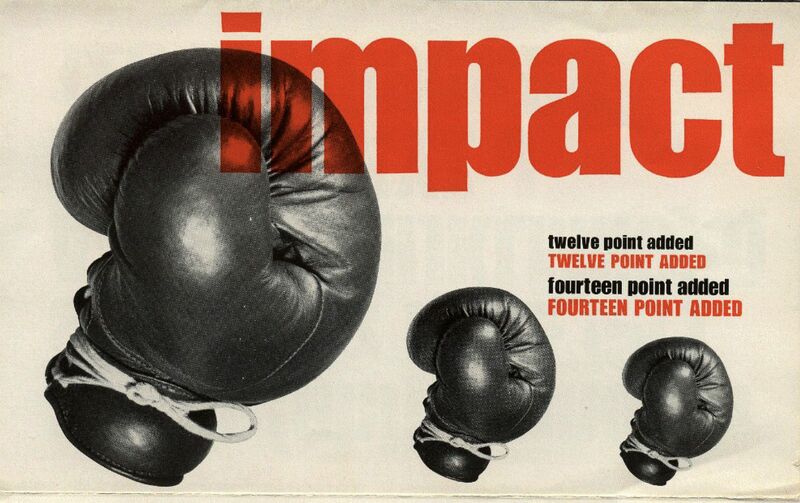 Impact was Stephenson Blake’s second-to-last typeface. As the firm slowly shifted its focus away from type, it divvied up digital rights among former competitors. Impact ended up in the hands of Monotype. Monotype, in turn, licensed key fonts to Microsoft. The lead for Impact built off a key decision in 1996, when Impact became one of the “core fonts for the web” — a Microsoft-curated attempt at a standard font pack that would work across the internet. Impact built off that lead when it was included in the market-dominating Windows 98 operating system, while some close competitors weren’t. Though Arial Black and the much-maligned Comic Sans provided some competition, neither was quite as legible over images. 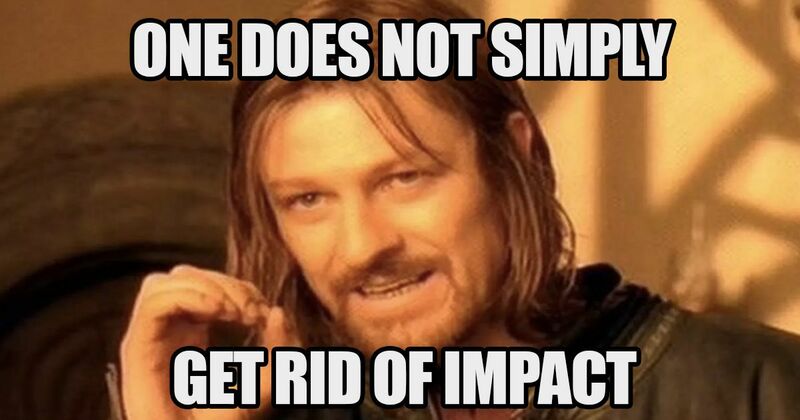 Existing on millions of computers and standardised across the web, Impact was primed to become the de facto font of the meme. 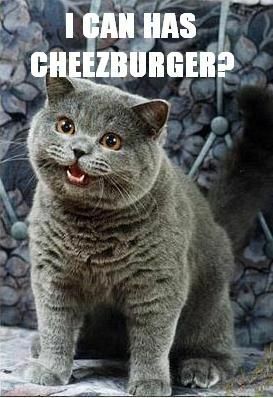 People created early memes using MS Paint or Photoshop, but websites that generated image macros (a fancy name for text on picture memes) also became part of the scene. In 2003, Impact had a threshold moment when someone made the most memorable cat meme ever (note that it lacks the distinctive black outline common today, yet is still legible, thanks to Impact). The meme to end all memes. As more and more memes used Impact, the momentum was hard to reverse. Will Impact stick around as the meme font of choice? Memes are hard to change. There have been attempts to innovate on meme form — apps like Super put text in boxes to improve legibility, and even sites like Vox experiment with adjusting darkness on background photos to use more respectable fonts. But by this point, the meme font has itself become a meme — a viral idea that’s very difficult to suppress. We expect memes to look a certain way, and that way includes Impact. The font is as legible as ever, and it resists user error, too (if somebody forgets the outline, adds a weird shadow, or even screws up the color, it will still look like a “proper” meme). “Quite different and so good,” indeed. Next PostBrand Therapy... the new Advertising?